It should come as no surprise to this group that I continue to be concerned about our Holy Father Pope Francis and the conflicting and conflicted coverage of his pontificate. For me, this is a practical preoccupation: on a regular basis, I encounter all sorts of people who want to draw nearer to Christ and the Church, and who see Pope Francis alternatively as an inspiration or a stumbling block. This is in keeping with the media coverage and resulting commentary—people seem to see what they want to see and hear what they want to hear. What is he trying to teach us? 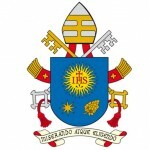 Each of these questions is worth a serious discussion, both in terms of how we respond personally to the Holy Father as faithful but concerned Catholics, and how we respond to the faithful and seeking around us, who are drawn to the Holy Father; the one, holy, catholic, and apostolic Church; or both. I ask this question for two reasons: first, because it was the question Spaniard asked and answered in the affirmative just before Meddlesome’s famous “What Happened to the Son Who Stayed?” post (which, I would argue, set the tone for the Junto’s subsequent discussions of the Holy Father), and second, because some Catholics are beginning to answer this question no. This no appear in three flavors: conspiratory schismatic, heretical sede vacantist, and apocalyptic antipopeist. It’s worth considering whether any of these three flavors appeal to us, and then asking: Does the Holy Spirit no longer guide the Church? Was He not present at the conclave? Or is the “remnant” right—are we no longer a part of the true Church? On the other hand, if there is, in fact, a pope in Rome (which is my belief), then we should treat him as such—in which case we should ask the second question. Recently I shared a comment from Sherry Weddell’s Forming Intentional Disciples forum, in which she made a personal observation that the Holy Father could have the charism of mercy. This comment intrigued me, because it could help explain why so many people—struggling, broken people on the fringe of the Catholic faith—seem so drawn to him. The Called & Gifted program, also developed by Weddell and her colleagues, explains that when a charism—a gift from God to be used for the kingdom—is truly present, the fruits are beyond that which the natural skills and abilities of the individual could normally produce. This could help to answer a question that has surfaced again and again in our group: what is the enormous appeal of Pope Francis and where does it come from? He is, in my view, not the most charismatic, well-spoken, or intellectually enlightening of the popes I’ve known in my short life, but his short-term draw, at least, is undeniable. Jesus Christ is the face of the Father’s mercy. These words might well sum up the mystery of the Christian faith. Mercy has become living and visible in Jesus of Nazareth, reaching its culmination in him. The Father, “rich in mercy” (Eph 2:4), after having revealed his name to Moses as “a God merciful and gracious, slow to anger, and abounding in steadfast love and faithfulness” (Ex 34:6), has never ceased to show, in various ways throughout history, his divine nature. In the “fullness of time” (Gal 4:4), when everything had been arranged according to his plan of salvation, he sent his only Son into the world, born of the Virgin Mary, to reveal his love for us in a definitive way. Whoever sees Jesus sees the Father (cf. Jn 14:9). Jesus of Nazareth, by his words, his actions, and his entire person reveals the mercy of God. In the past year, we have also had more than one conversation about a claim that seemed to spring up in public discourse from the pope’s emphasis on mercy, namely, that mercy is God’s defining (or in a “cool pope” piece in TIME Magazine, most beautiful) attribute—conflating and confusing mercy with caritas, and ignoring aspects of God’s perfect love like freedom and justice, which, respectively, enables us to sin and demands our repentance. [T]he old story of the Good Samaritan has been the model of the spirituality of the Council… Errors were condemned, indeed, because charity demanded this no less than did truth, but for individuals themselves there was only admonition, respect and love. Instead of depressing diagnoses, encouraging remedies; instead of direful predictions, messages of trust issued from the Council to the present-day world. We become good confessors when, above all, we allow ourselves to be penitents in search of his mercy. … None of us wields power over this Sacrament; rather, we are faithful servants of God’s mercy through it. Every confessor must accept the faithful as the father in the parable of the prodigal son: a father who runs out to meet his son despite the fact that he has squandered away his inheritance. Confessors are called to embrace the repentant son who comes back home and to express the joy of having him back again. Let us never tire of also going out to the other son who stands outside, incapable of rejoicing, in order to explain to him that his judgment is severe and unjust and meaningless in light of the father’s boundless mercy. May confessors not ask useless questions, but like the father in the parable, interrupt the speech prepared ahead of time by the prodigal son, so that confessors will learn to accept the plea for help and mercy pouring from the heart of every penitent. In short, confessors are called to be a sign of the primacy of mercy always, everywhere, and in every situation, no matter what (Misericordiae Vultus). That last sentence, in particular, is not subtle—and it can cause us to lose sight of the words repentant and penitent above it, and throughout the document. My own first response was that seemed like a stretch and could be misconstrued into thinking that God’s forgiveness is…what? Undeserved? Unconditional? Extravagant? For the penitent sinner, is it not? The present-day mentality, more perhaps than that of people in the past, seems opposed to a God of mercy, and in fact tends to exclude from life and to remove from the human heart the very idea of mercy. The word and the concept of “mercy” seem to cause uneasiness in man, who, thanks to the enormous development of science and technology, never before known in history, has become the master of the earth and has subdued and dominated it. This dominion over the earth, sometimes understood in a one-sided and superficial way, seems to have no room for mercy (Dives In Misericordia). Our current Holy Father goes on to warn against “destructive cynicism” that keeps us from exercising charity though the corporal and spiritual acts of mercy. I found myself contemplating the situations in which I fail to exercise forgiveness and mercy in my own life, and the obstacles that lead to that failure on a daily basis. It’s at this point that the third question arises. Reflection. Read Pope Francis’s Misericordiae Vultus, Pope Saint John Paul II’s Dives In Misericordia, and the Catechism of the Catholic Church on the topic of mercy. All three contain solid scripture references for reflection, as well. Examination. Prayerfully examine our anxieties and uneasiness about the Holy Father’s teachings on mercy, forgiveness, and “paths to conversion.” Reflect on how God’s mercy has been manifested in our own lives and actively strive against “destructive cynicism” and other internal obstacles that keep us from practicing mercy. Resist the urge to focus on the pope’s shortcomings during this time and stay focused on our own. Commitment. Discern at least one new way we can practice the corporal and spiritual acts of mercy during the year ahead (individually or as a group) and commit to doing so. Consider a pilgrimage to one of the designated mercy doors during this year or prayerfully supporting the 24 Hours of Mercy during Lent.